New Year. New Swedish you! Would you like to start (or re-start) learning Swedish, but don’t know where to start? Are you wondering what the best way is to learn Swedish? Do you feel overwhelmed with all the different websites, books, apps, courses and online resources? If this is you, then read on. In this blog post, we’ll discuss the different ways of learning Swedish and the resources you may want to consider, so you can choose what works best for you. We also have a free Resource Checklist that you can download below, to set yourself up for a great year of Swedish language learning. The first thing you should think about is if you want to study on your own, or take lessons with a teacher. Having lessons will make you learn faster, as you get feedback from your teacher and get more speaking practice. In other words, this is the best way to learn how to speak Swedish. You can do a course at a language school, or do a private lesson (on Skype for example). But if you are on a tight budget, you can also self-study. Just make sure to get some speaking practice with an actual Swede at some point (in person or via Skype). There are many resources you can use, and today with all the technology available, more than ever can be found online. But there are 4 categories of resources that you should make sure you have access to. These are course books that take you from one level to the next. They will have a combination of grammar, texts and vocab, and will allow you to practice reading comprehension, vocab learning and grammar understanding, and probably also listening comprehension (if it has audio support). If you study with a teacher, they will usually guide you through the books and give feedback on pronunciation and discuss grammar with you. The course books often include writing exercises as well, which your teacher can give you feedback on. If you are studying on your own, you won’t get any feedback on speaking and writing, and it is crucial that you make sure to find ways to get this elsewhere. – Rivstart series (A1+A2, B1+B2, B2+C1) – This series is great for going through the levels, but all the instructions are in Swedish, so you will need a teacher to take you through it (at least in the beginning). If you buy them, remember that you need to get both the text book and the exercise book for each level. 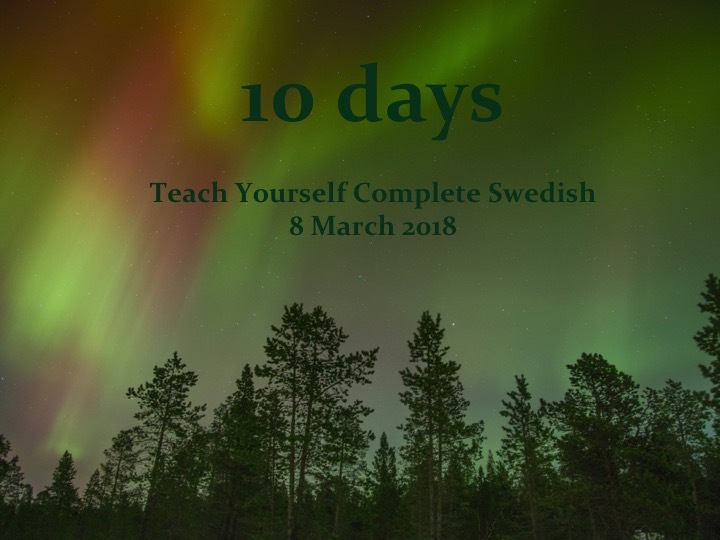 – Teach Yourself Complete Swedish – We also use this book in some of our lessons. As it is a self study book and all the grammar explanations are in English, this is a great book if you are learning Swedish on your own. It is also a good complement to Rivstart (because of the English grammar explanations). Make sure you choose a good practice resource that works for you. It could just be as simple as a book where you write new words down, but there are also many apps and online programmes that you might want to explore. Practising programmes like Duolingo, Babbel, Clozemaster, or flashcard apps like Quizlet, Memrise, Anki, to name a few. All of these are very good for practising, but will not work as a guiding resource on their own. We therefore recommend to combine these with some of the guiding resources above. If you want to get started straight away, we have a free Quizlet lesson for total beginners (100 items) that you can access here. Anything online can be an input resource! Videos on Youtube, radio programmes, movies, newspapers online, blogs, Facebook groups, Instagram accounts, Pinterest, etc. Physical easy to read books and other similar things are of course also good input sources when you are learning Swedish. Form i fokus A (although it is also very much a practice resource). There is also a B and C in the same series. There you have it! Make sure you have resources from all 4 categories. We also have a handy Resource Checklist that you can download for free here, to keep your resources organised. And if you know someone else who would find this useful, make sure to share this article with them. The book includes 20 units with online audio support, plus verb reference and word glossary, with relevant and up-to-date topics, including politics, education, gender equality and popular entertainment in Sweden. A perhaps unexpected trend in recent years is the rising popularity of Swedish in the world. It is unexpected because Swedish is not traditionally one of the more popular languages in the world, as it is typically ranked around the 90th most spoken languages in the world. But according to British Council, Swedish is in the top 10 languages in demand for export markets, along with much larger languages like French, Spanish, Dutch and German. So why is Swedish becoming more popular? There are several theories for this rise. One is the rise of Scandinavian culture in general on an international scale, with books, TV-series and movies, many of them falling into the category known as Nordic Noir. 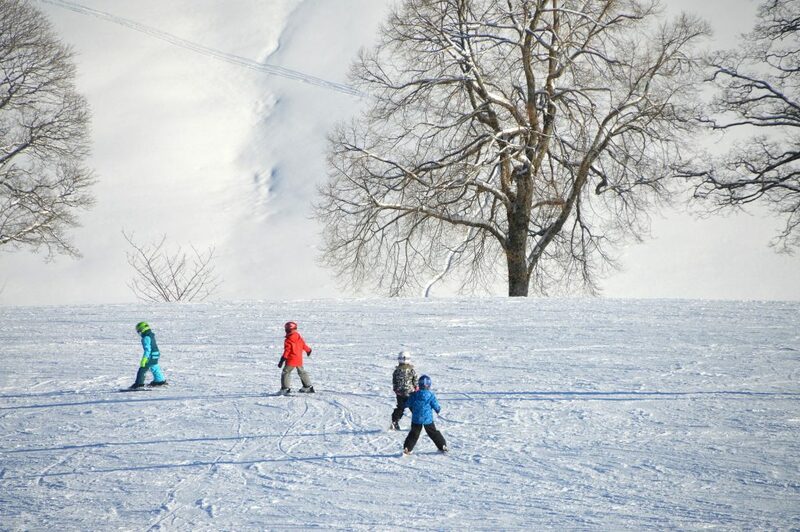 Also, one in six Swedish residents in 2015 were born outside of Sweden (Statistics Sweden SCB), meaning that many Swedish residents are in full swing of learning the language. The book uses authentic conversations, vocabulary building, grammar explanations, online audio support, and extensive practice and review to equip learners with the skills they need to use Swedish in a variety of settings and situations, developing their cultural awareness along the way. The book follows several characters through a storyline enabling learners to engage with Swedish culture and contextualise their learning. The book suits the self-study learner, lessons with a one-to-one tutor, or the beginner classroom. 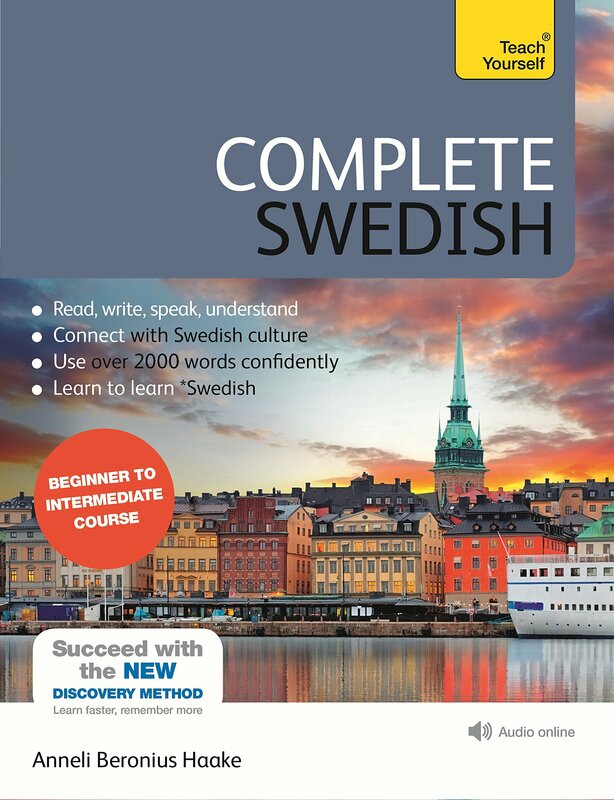 It can be used as a refresher course as well as to support study for the ‘Swedex’ Swedish proficiency test. Mikael Parkvall, “Världens 100 största språk 2007” (The World’s 100 Largest Languages in 2007), in Nationalencyklopedin. Swedish Made Easy was founded by Anneli Beronius Haake in 2005. It is an e-learning and Skype-based language school, which specialises in the teaching and assessment of Swedish language skills, including SWEDEX levels A2-B2. Swedish Made Easy believes in using modern technology to share the Swedish language and culture across the globe. Dr Anneli Haake is a native Swedish language and culture specialist and translator. Anneli was awarded a BA (Hons) at University of Stockholm in 2003 before transferring to the UK to complete her PhD and a PCHE (Postgraduate Certificate in Higher Education) at University of Sheffield, UK. Anneli has been featured in numerous media outlets, including the BBC and The Guardian. Anneli has experience of teaching students from a broad range of nationalities and has worked with organisations such as Örebro University, Lund University, Jönköping University, as well as large multi-nationals including Abercrombie & Fitch, E-ON and Spotify and various language agencies.